Mitzi Johnson of South Hero was elected Vermont Speaker of the House on January 4th, 2017. She is the 91st Speaker and third female Speaker of the House. In addition, she also represents the towns of Alburgh, Grand Isle, Isle la Motte, North Hero, South Hero, and West Milton in the House of Representatives. She was born in Clifton Park, NY, and moved to South Hero in 1993 after graduating with a Bachelor of Science degree from the University of Vermont. Mitzi also holds a Master's in Public Administration from the Harvard Kennedy School. Mitzi is the executive director of the Adaptive Leadership Network, a non-profit engaged in leadership training and complex problem solving. Her professional experience includes program and policy work for Hunger Free Vermont and the Vermont Freedom to Marry Task Force, as well as vegetable production at Allenholm Farm in South Hero. Mitzi currently is a board member for the Vermont Foodbank. 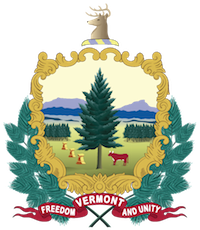 She previously served on the Vermont Electric Cooperative Board of Directors. She volunteered for 20 years with South Hero Rescue and is a former board member of the Chittenden-Grand Isle County VNA , South Hero Land Trust, and UVM's College of Agriculture and Life Science Advisory Board. Prior to her election as Speaker of the House, Mitzi served on the Agriculture Committee from 2003-2006 and Appropriations Committee from 2007-2016, as Vice Chair from 2010-2014 and as Chair from 2015-2016.